Mountaintop Removal poster ©2011 Solid Ground Films, all rights reserved. About a year ago, a little publicized, unheralded documentary named Mountaintop Removal (which ScriptPhD.com reviewed) attempted to deconstruct the environmentally devastating practice of the same name literally destroying the Appalachian geography of West Virginia’s coal river valley. Honest, yet modestly shot and produced, the small-scale documentary needed a Hollywood touch to resonate on a human level to advance its powerful cause. It got what it needed in The Last Mountain, a celebrated selection of this year’s Sundance Film Festival. 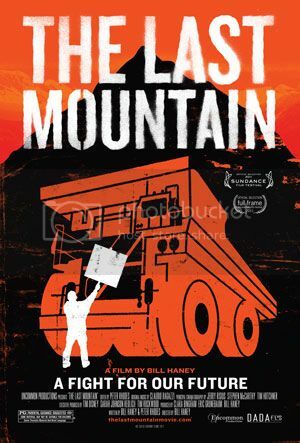 This important new documentary succeeds in both relaying the urgency of a destructive coal mining practice that is literally zoning in on one last undamaged mountain as well as forging a human connection with the townspeople battling to save it. 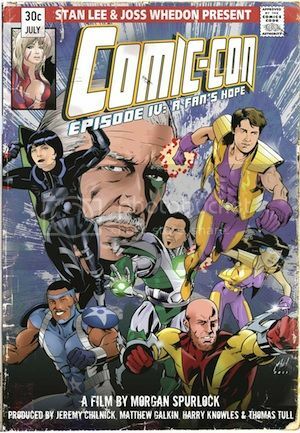 Full ScriptPhD.com review under the “continue reading” cut. 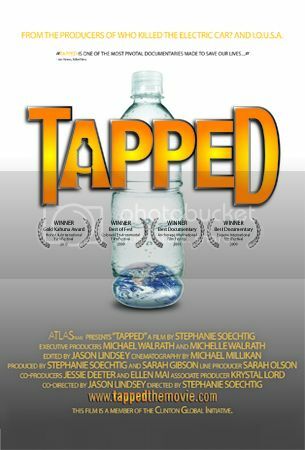 Tapped poster and logos ©AtlasFilms, all rights reserved. The Last Beekeeper, a World of Wonder production. 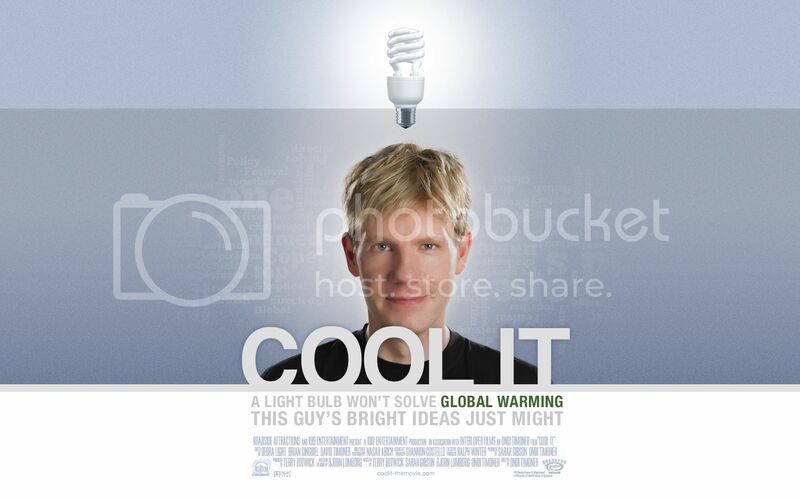 A compelling, socially and scientifically significant new film is buzzing its way into the 2009 Los Angeles Film Festival. From director Jeremy Simmons, The Last Beekeeper is a stirring new documentary that explores the ramifications of Colony Collapse Disorder (CCD), the mysterious HIV-like pandemic killing bees en masse, on beekeepers, the pollination industry, and our ecosystem. The filmmakers follow the lives of three beekeepers over the course of a year, as they prepare and transport their bees to California’s massive annual almond pollination, an event that requires the assembly of nearly all American bees. In depicting their struggles, triumphs, and personal pain, the film delves into the scientific mystery behind CCD, the personal relationship that bonds an apiarist to their bees, and the lengths of devotion three human beings take to save themselves and an insect in crisis. Nicole Ulibarri might have had a very different calling in life. Described by her family as smart and ambitious, Nicole got a college education and became a Seattle career woman. But she also comes from several generations of beekeepers, and the calling, along with anguish over a painful family loss, led her heart back to Montana, where she became a beekeeper. Eric Mills is probably the most interesting Southern-to-the-core gay beekeeper you’ll ever meet. Meticulous, obsessed, at times arrogant, and profoundly gifted at his profession, Eric sums up his philosophy: “If you take care of the bees, they will take care of you.” Matt Hutchins is the archetype of many blue-collar, self-made small business owners in America. His struggling rural Washington business has been decimated by dying bees, but Matt’s perseverance, sense of obligation, and love of his craft drives his desire to keep going. In 1996, the almond industry got a huge boost when California led research efforts on the health effects of almonds, leading to a doubling of almond consumption worldwide. California is the industry leader in almond production, growing 80% of the world’s supply. The caveat is that almonds are almost completely reliant on bee populations for pollination. As such, the yearly California crop acts as a sort of beekeeper’s “Yukon gold rush”. 75% of all American beekeepers head out to California yearly to pollinate almonds, and rely on this event to earn most of their income (approximately $150 for a full hive). Among them are Nicole, Eric and Matt. Would their hives survive the stressful voyage to California? Could they beat the unbelievable odds against them to make a year’s worth of work pay off? Beekeeping is an essential component of modern agriculture, providing pollination services for over 90 commercial crops grown in the United States. The honey bee adds $15 billion in value to agricultural crops each year, and the demand for honey bees is growing. The California almond crop alone uses 1.3 million colonies of bees for pollination, approximately one half of all honey bees in the United States. Several important running themes are explored throughout this movie, with disappearing bees as the background context. Loss and devotion at all costs. Through all three stories told runs a profound sense of loss (whether Nicole’s personal tragedy or Matt’s hive devastation) and the cost of being a modern beekeeper. Matt’s decisions cause tremendous strife within his family, while Eric, whose partner quit his job to assist him with the business, sees himself as fungible compared to the bees. Bees as humanlike creatures. Through some very adroit camera work, Simmons is able to provide a rare emotional purview into the world of bees helping one another, working together, dying together. Above all else is the love of the bees. The beekeepers portrayed in this film make tremendous sacrifices, professionally and personally, but are motivated and driven because of a core love for the bees. At times gut wrenching, The Last Beekeeper effectively communicates the frustration and helplessness these caretakers feel. If the current situation does not improve, the future for beekeepers looks pretty grim. As it stands, there are less than 1,600 beekeepers in all of the United States. (In 1950, there were 500,000.) At the rate they are dying, bees will cease to exist in North America by 2035. It is up to scientists, environmental activists, and ordinary citizens to take action, get informed, and prevent these assiduous, necessary, beautiful creatures from disappearing from our planet. At the end of the movie, sitting in his nearly devastated, ghostly apiary, beekeeper Jim Robertson sadly muses how much honeybees serve by nature. They make enough honey for themselves and everyone else, but we are constantly trying to get more out of them than they can give us. “It’s foolishness,” he remarks quietly. Foolishness, indeed. 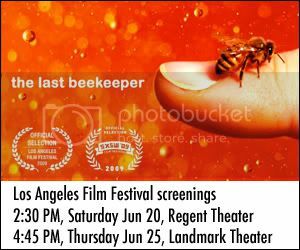 The Last Beekeeper is a World of Wonder film, directed by Jeremy Simmons and produced by Fenton Bailey and Randy Barbato. 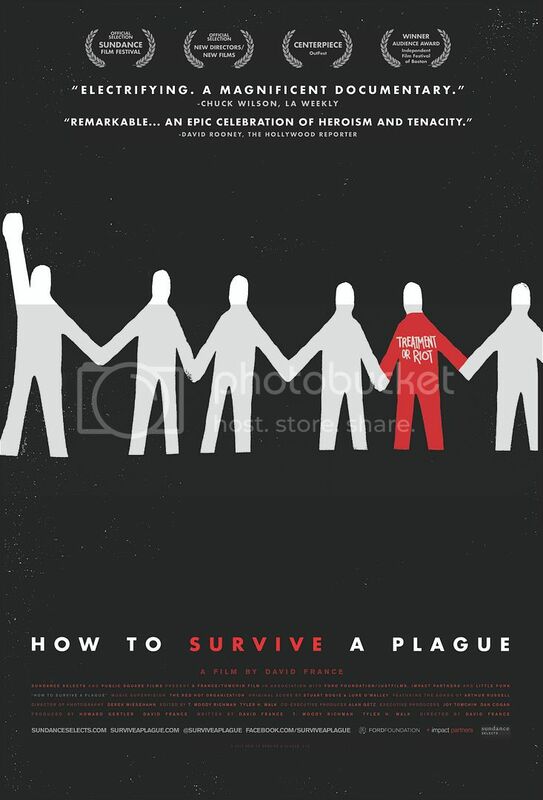 It premiered at the SXSW Film Festival on March 14th, 2009. 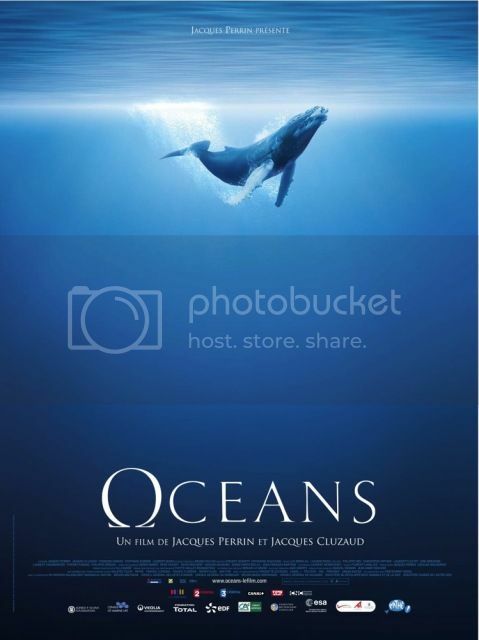 It is an official selection of the 2009 Los Angeles Film Festival, and has two screenings: Saturday, June 20, at 2:30PM at the Regent Theater (already passed), and on Thursday, June 25, at 4:45PM at the Landmark 4. ScriptPhD.com had the opportunity to talk with Jeremy Simmons and Fenton Bailey and get their in-depth thoughts on the film and the beekeepers. For a transcript of our interview, please click “continue reading”.